While the Minsk negotiations went on, Russian-terrorist units in Donbas did not cease their attempts to advance in the area of Debaltseve. We note a sharp increase in the numbers of regular Russian army units in this area (personnel from different military units of the Russian Armed Forces, combined into tactical groups). Ukrainian artillery delivered multiple fire strikes on the terrorists’ battle lines. However, the enemy continues the offensive, despite incurring heavy losses near Lohvynove and Nyzhnje Lozove over the last 24 hours (a total of 8 armored vehicles and 10 motor vehicles). Units of local ‘LNR’ [Luhansk People’s Republic] insurgents, which had been pulled back from the Debaltseve area deeper into terrorist-controlled territory, are flat out refusing to continue fighting alongside Russian regular troops (the latter use local terrorists in the most dangerous areas). Active counter-battery fire continues in the Bakhmut motorway area. The enemy is attempting to move their mortar details into direct proximity to the positions of Ukrainian troops, with a view that Ukrainian artillery will not open fire at the risk of friendly fire. However, in some cases, this allows Ukrainian units to fight the enemy mortar crews even with small arms. 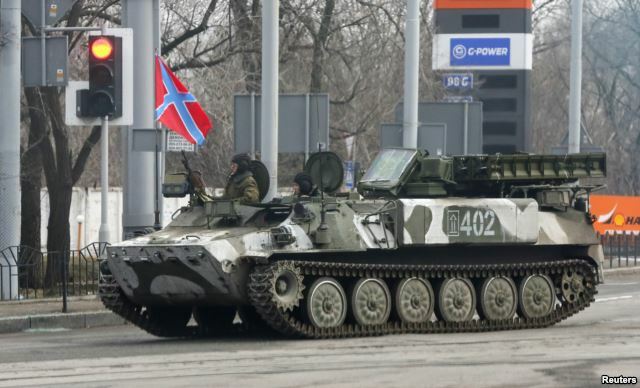 The situation also remains tense in the area of Mariupol. After repelling the counterattack of Russian-terrorist troops near Sakhanka, units of the National Guard of Ukraine and the Armed Forces of Ukraine continued offensive operations in the Novoazovsk direction. The enemy deployed an armored group (4 tanks and 4 AFVs) to this area, and continues to deliver massive fire strikes on the leading echelons of the Ukrainian troops. Near Sakhanka, Ukrainian troops are meeting with an opposition of enemy units staffed by regular Russian military servicemen. To the south of Telmanove, the enemy continues urgently accumulating troops that are being transferred from the directions of Starobesheve and Amvrosiivka (at this time, up to 500 personnel, 15 AFVs, 3 tanks; additional forces and equipment keep arriving). A rotation of sorts is taking place near Novoazovsk – some Russian army units are being withdrawn from the settlement into the Rostov Oblast (Russia) and replaced by units of Russian mercenaries arriving from Russia (the latter units are equipped and supplied worse, by comparison). On the Dokuchajevsk direction, near the settlements of Hranytne and Novohryhorivka, the enemy opened sporadic mortar fire on the foremost lines of Ukrainian troops, after a Ukrainian armored group raided the enemy’s left flank. The enemy mortars stopped firing after Ukrainian artillery made two retaliatory strikes. 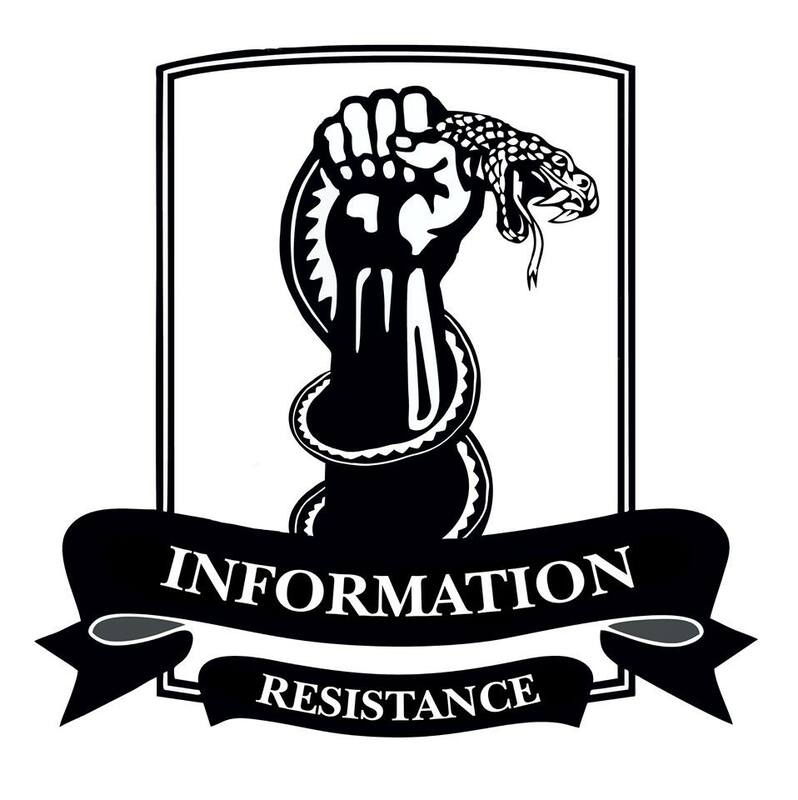 However, insurgents continue firing on the positions of Ukrainian troops in this area from around Dokuchajevsk and Olenivka, using self-propelled artillery units and Grad MRLS (we have reports of two firing squads, employing 12 SAU and 4 MRLS). This is chaos exactly like it was in Croatia during war with Serbian terrorists. Seeing that more and more Croatians are going in Ukraine to fight.